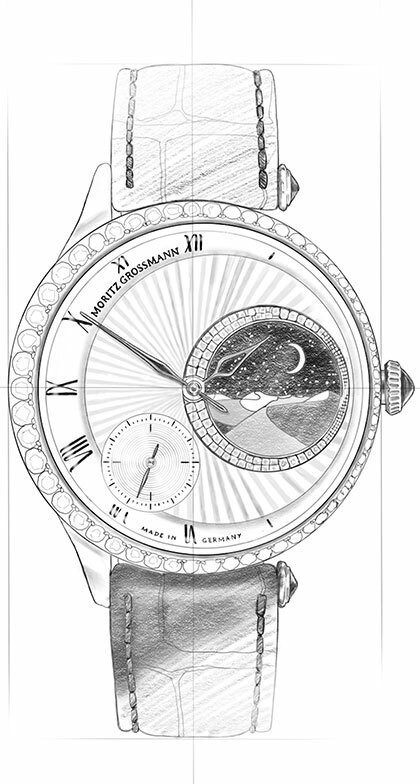 The somewhat smaller 37 roman also masters the principle of reduction with perfection. 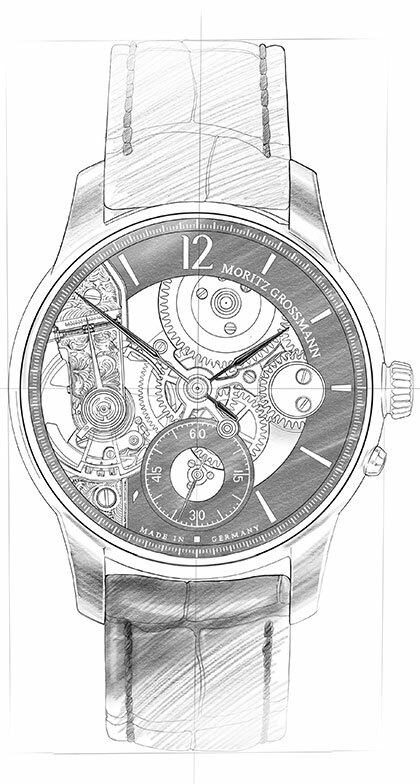 All hallmarks of pure watchmaking artistry stand for its precise functionality. 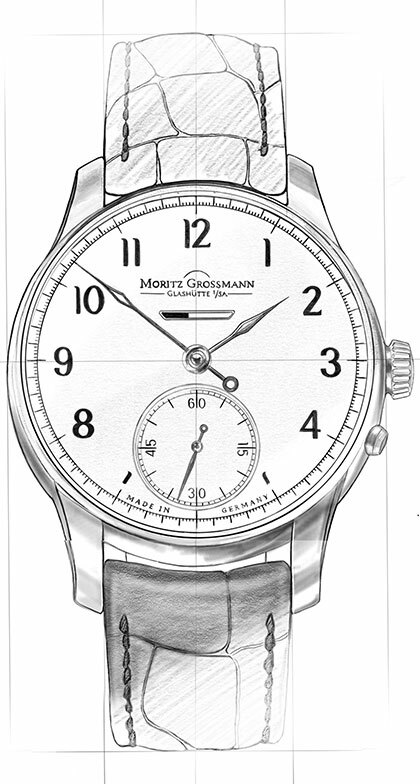 The subsidiary seconds recessed in the dial and the typical ATUM hands have been rescaled to the 37-millimetre diameter of the case. 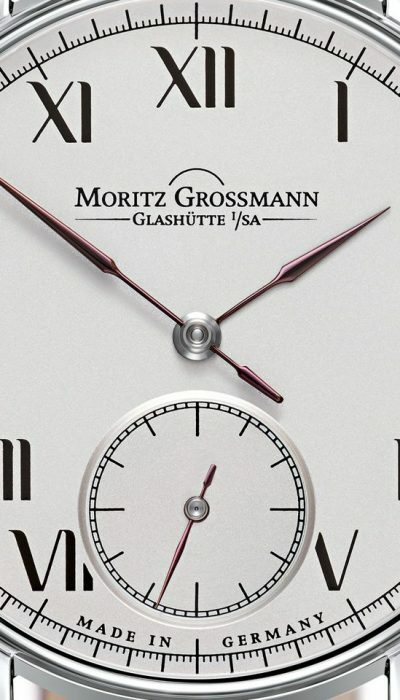 The lancet-style hands and the Roman numerals that take the place of the applied hour markers assure very good legibility from any angle. 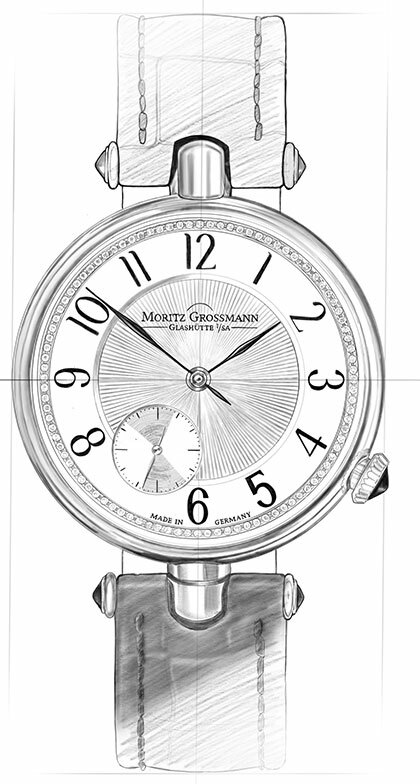 Grossmann’s calibre 102.1 movement under the dial has a dainty diameter of 26 mm and is only 4 mm high. 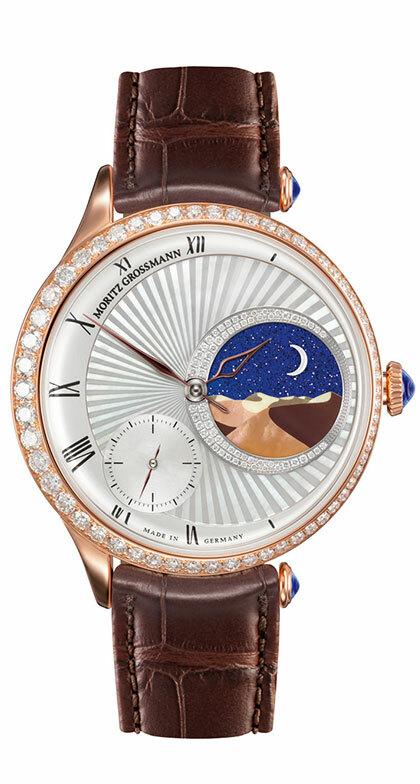 Accommodated in the 37-millimetre case, the small ATUM is just as balanced and well proportioned as its role model. 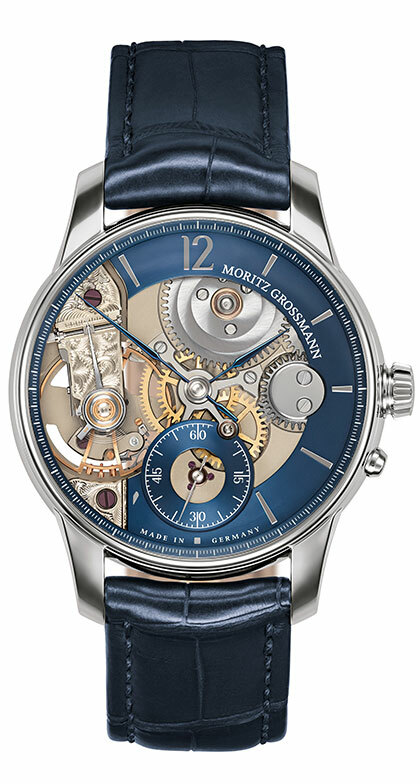 The noble grace of the strap lugs, the elegance of the slender bezel, and the ergonomically shaped crown are the key facets of an immaculate case. 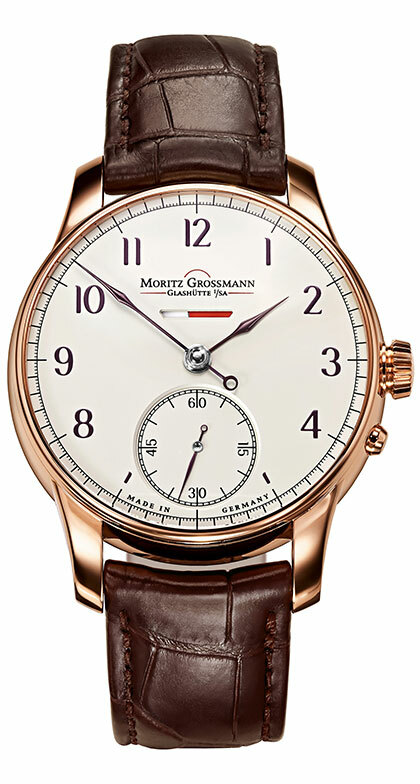 The rose-gold version of the 37 is worn on a brown alligator leather strap while the white-gold model has a black strap. 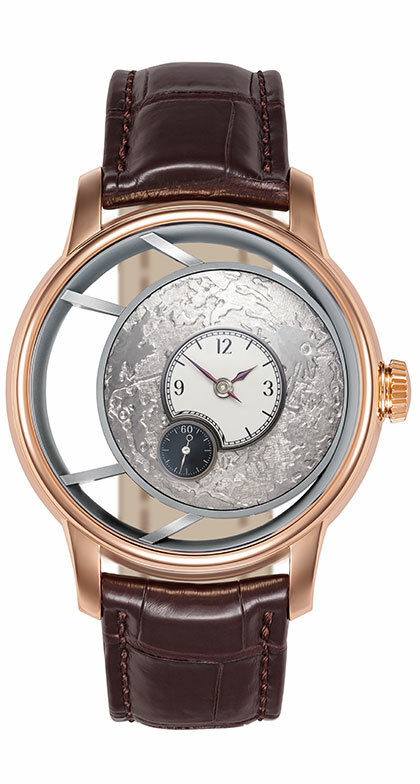 With the 37, an argenté-coloured solid-silver dial with brown-violet numerals is combined with a charcoal minute scale and hands annealed to a brown-violet hue. 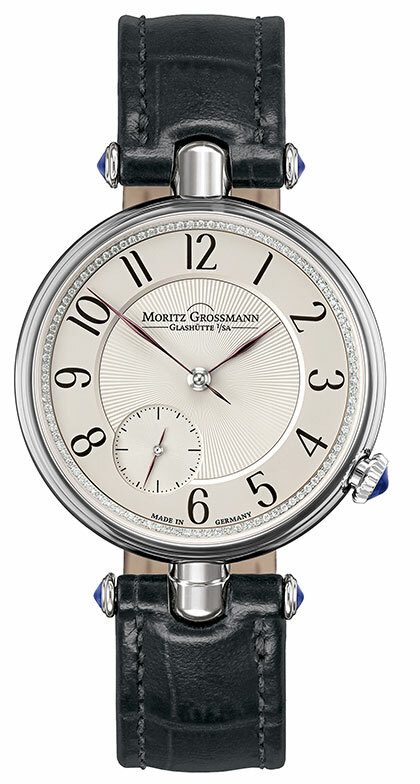 The elegantly drawn Roman numerals underscore the classic appeal of this universal timepiece. 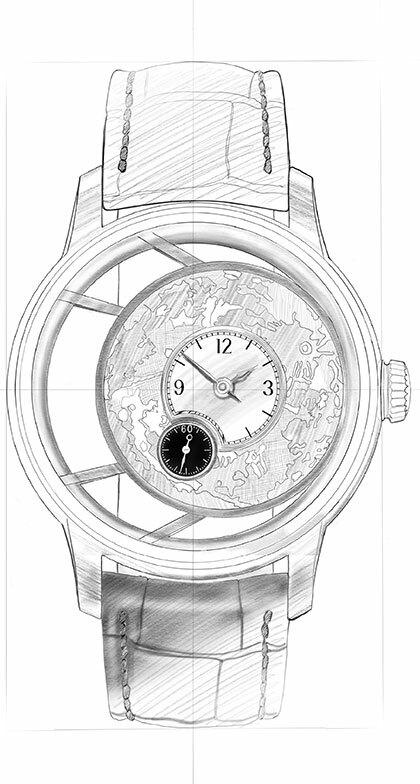 Thanks to the fine tips of the smaller ATUM hands, the hours and minutes are always easily legible. 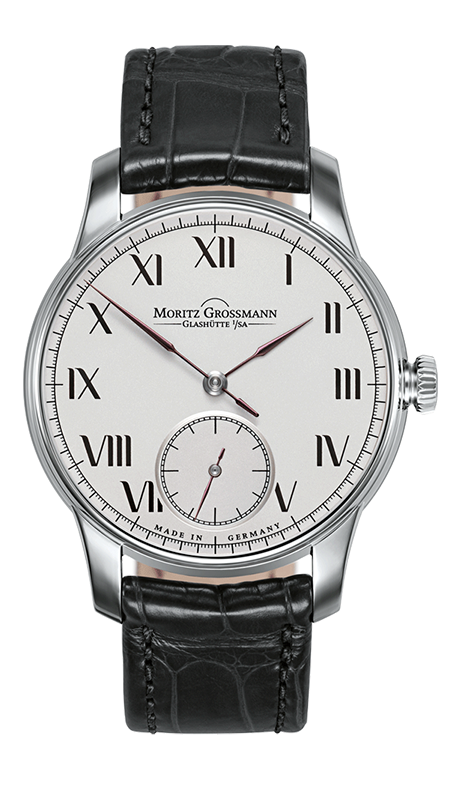 As in the large model, the subsidiary seconds dial is recessed in the main dial at 6 o’clock and accentuated with a polished chamfer.